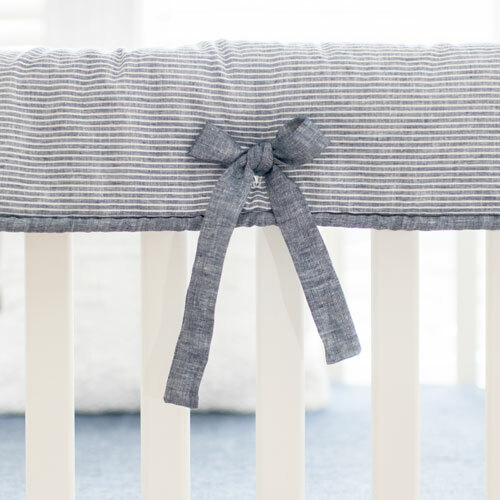 This classic linen crib skirt will give your baby bedding texture and simplicity. 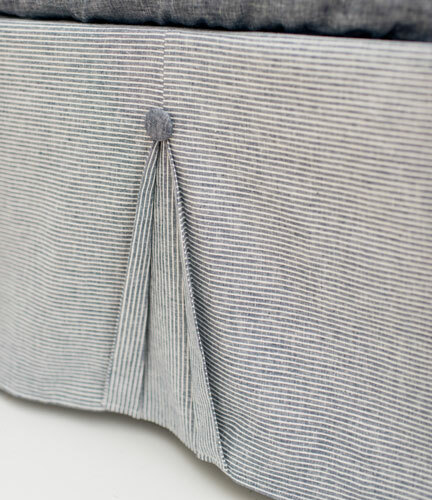 Our navy stripe linen crib skirt features open pleats and cute accent buttons. 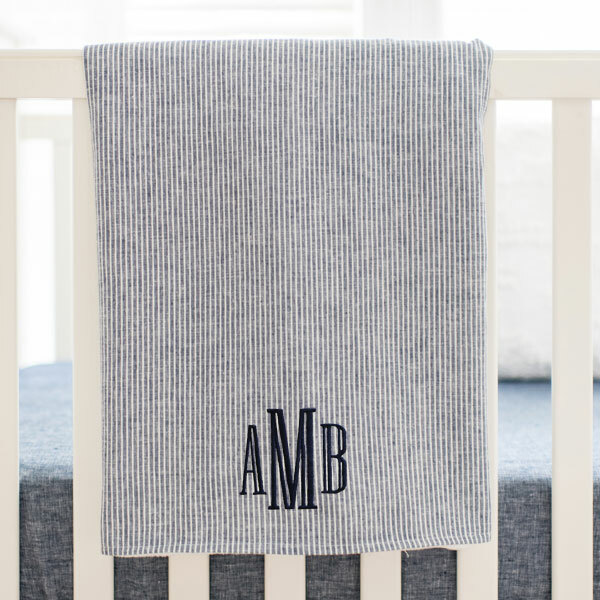 Perfect for a baby boy's nursery. 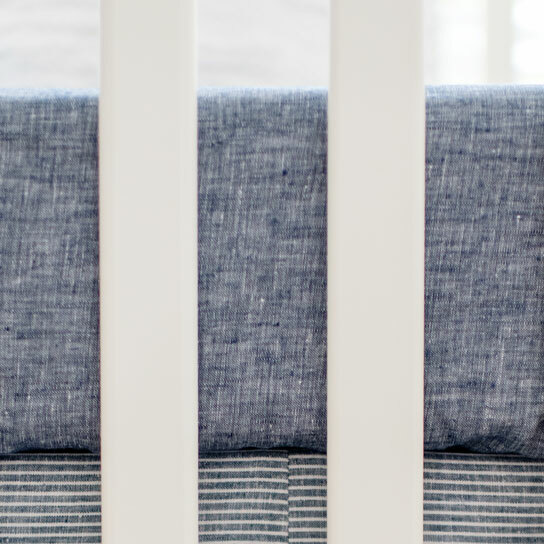 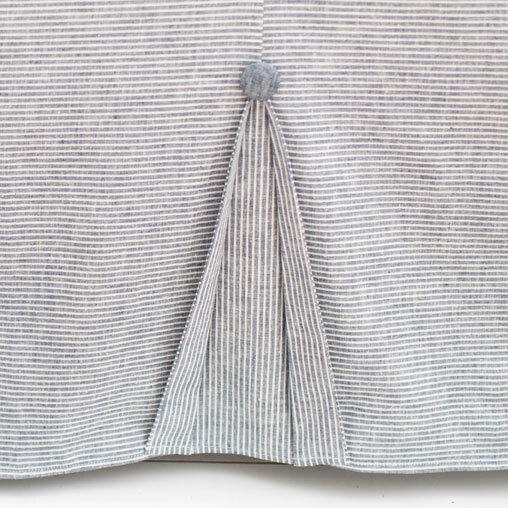 Coordinate your crib skirt with our Washed Linen Indigo Stripe Crib Collection.